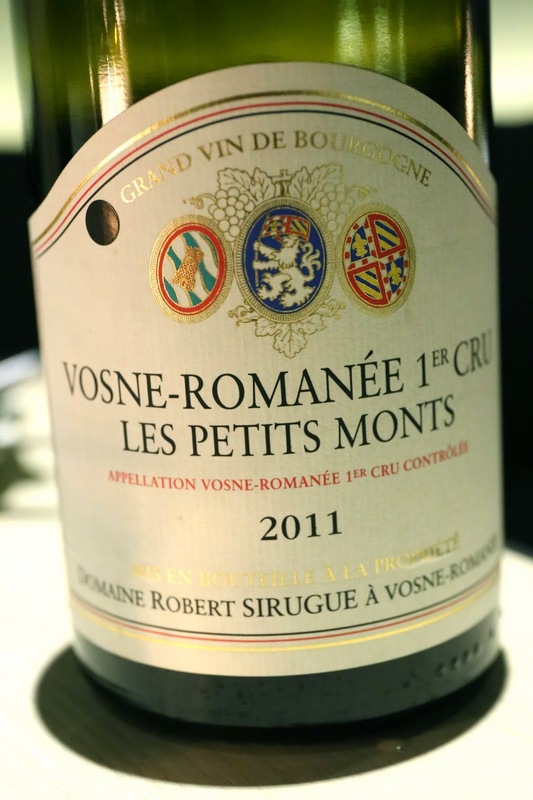 2011 Robert Sirugue Vosne-Romanée 1er Cru Les Petits Monts - opened days earlier. Acidity slightly higher than expected. A little bit of forest and mint. 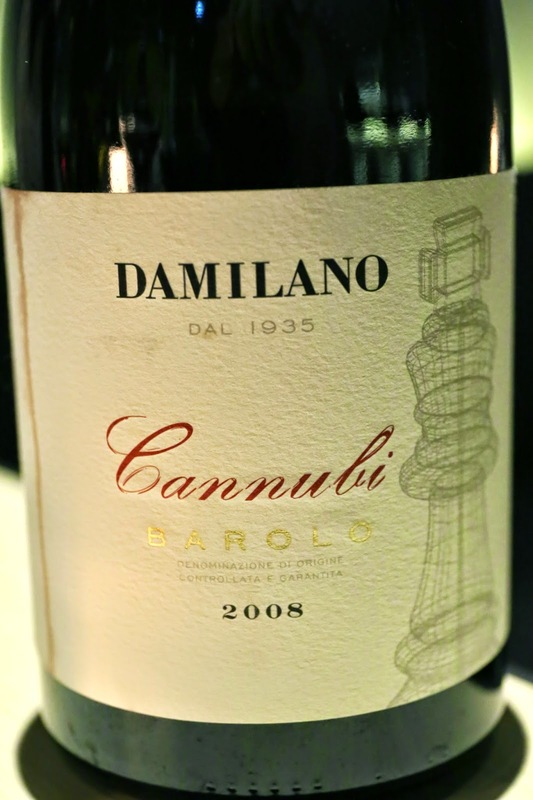 2008 Damilano Barolo Cannubi - opened days earlier. Some fruit here and the tannins were softer. 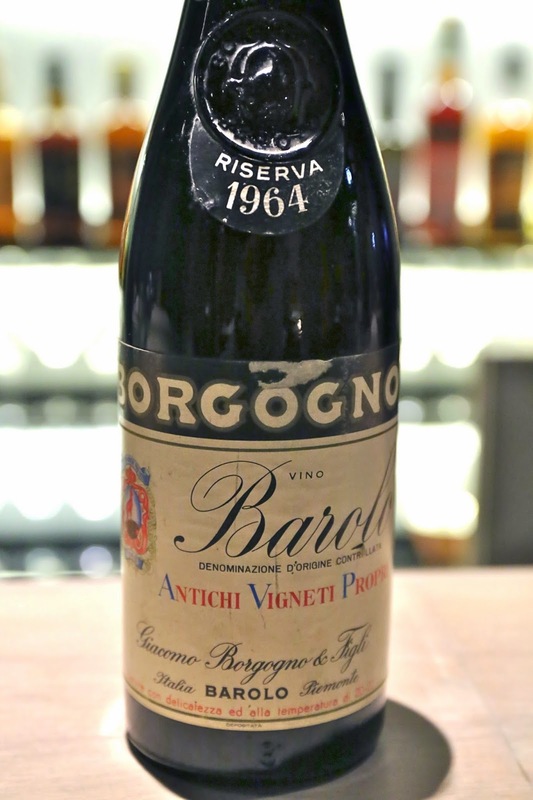 1964 Borgogno Barolo - nose was very savory like soy sauce or tapenade. Stewed prunes, smoky, and a little medicinal. After chilling in ice bucket and further aeration, nose opened up well to show orange peel, almost honeydew melon, and some leather. Drinks at Upper Modern Bistro. 2011 The Hilt The Old Guard Chardonnay - nose full of minerals, ripe, lemon citrus, and green apples. Still fresh with higher-than-expected acidity. 2011 The Hilt The Vanguard Chardonnay - fresher and more vibrant than The Old Guard, with surprisingly high level of acidity. Nose became a little buttery later. 2012 The Hilt The Vanguard Chardonnay - very big nose, heavy, toasty oak here, very buttery and also roasted corn, showing a little more of the pungent sulfur. Most surprising wine and probably my favorite of the bunch. 2010 The Hilt The Vanguard Pinot Noir - really ripe and sweet on the nose, very minty, with black fruits and blueberries. 2011 The Hilt The Vanguard Pinot Noir - a little metallic on the nose, with forest, dried herbs, and a little bit of pungent sulfur. 2011 The Hilt The Old Guard Pinot Noir - very ripe, almost jammy nose, with forest, potpourri notes. Slightly pungent and green, with some mint. 2008 Liger-Belair Vosne-Romanée Clos du Château - very big nose, with farmy, leather, animal, and floral notes like violet. Also plenty of sweet fruit. Drinking beautifully.